For many online users that would want to earn money online, part-time work would be the most ideal. Finding a job that allows a couple of hours daily for good pay is now possible making it a popular choice for many looking for these opportunities. You only need to find a company that offers the type of job you desire and apply for a position. 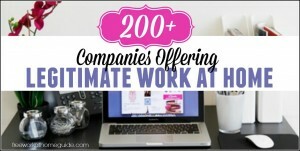 To get you started, here are some companies that offer part-time jobs online in different fields. FlexJobs is my #1 recommendation that’s devoted to providing flexible, telecommuting, part-time work opportunities for almost everyone. The company was featured on CNN, NBC, USA Today, and is by far one of the best resources available online today. Fancy Hands offers you a chance to make money by completing different tasks on a regular basis. You get to choose the hours to work and receive payment every fortnight for successfully completed tasks. Time, Etc. gives you a chance to offer virtual assistant services to entrepreneurs from different fields. They pay hourly so you can decide on the number of hours you want to work and get paid. World Wide 101 hires part-time independent contractors to handle inquiries on customer support or sales. You get to interact with clients seeking assistance to travel or book cruises through the company. Virtual Office Temps targets home based workers that are looking for an entry level position as an assistant working remotely. Payment is hourly depending on the project which you will be assigned. Virtual Coworker hires work at home assistants to do tasks on behalf of their clients. They allow you to pick the hours that you would like to work and pay you for them. Office 88 has jobs for work at home professionals that want to work as virtual assistant jobs in any industry. They make payment to their contractors after receiving from client but they deduct a percentage before handing it over. Zirtual.com offers virtual assistants to entrepreneurs, small teams and professionals at an hourly rate. They allow their contractors to choose the hours they want to work making it ideal for part time work. Assistant Match is a resourceful site if you are looking for a part tome job as a virtual assistant. They also hire for their different clients and match you with the best company for your skills. The Appointment Biz hires virtual assistants as subcontractors and allows them to manage their own schedule while delivering quality work from their home office. They accept applications on their site that should be accompanied by an updated resume. Contemporary Virtual Assistant takes the heavy load of routine work from business people and entrepreneurs by offering them someone to do the work on their behalf. Virtual assistants hired perform a variety of tasks for clients on the site. Virtual office VA hires workers that understand the real estate industry to be able to offer assistance to businesses in the industry. Payment is fair and is calculated hourly. UpWork offers a variety of jobs on their site from freelancers including virtual assistant services. 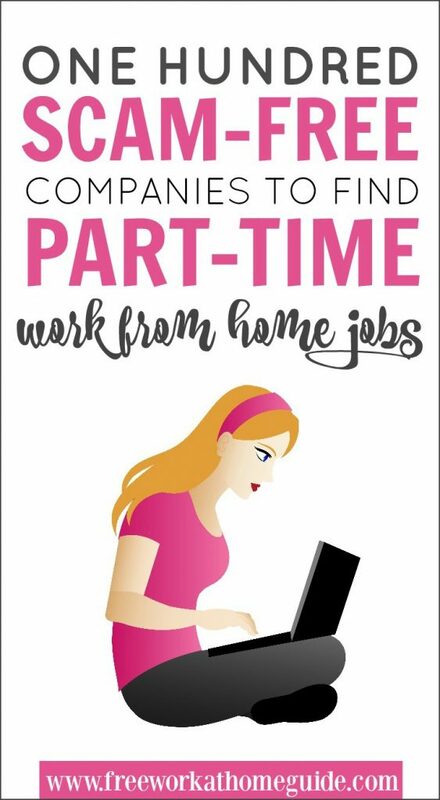 It is possible to find part time jobs as a virtual assistant and be hired on a hourly rate of pay. Fast Chart is specifically for those trained in medical transcription and is a good place to earn money part time. You can choose the hours you are willing to work and predict the amount you will be able to earn. Play Media hires transcribers with fast typing skills, not less than 75 wpm and are good at using the internet for research. Payment for projects varies but can be from $10 to $30 if you deliver quality work. Accutran global gives you the opportunity to pick up transcription work when you want and deliver within a given deadline. It is an ideal part time job for those that do not have to deal with a lot of distractions. Verbal Ink offers an array of jobs to transcribers after passing their test, which can be hard to do for many but not impossible. The tests, cover letter and good resume when successfully submitted gives you a chance to work for the company. Appenscribe is ideal for transcribers that can understand many languages as they can earn well even in part time positions. The payment is bi-monthly for transcription work done and submitted. Bam offers transcription services for the entertainment industry among other projects. They hire transcribers as independent contractors and can be reached through e-mail by those interested in working for them. Ubiqus has diverse jobs for transcribers that can be done on a part time basis, whether beginners or experienced in transcription. Work is available all the time and payment is fortnightly for those hired by the company. Birch Creek Communications hire transcriptionists to work in the corporate as well as legal fields. To get hired, you will need to inquire through e-mail and be screened before becoming part of their team. Transcribe Me is ideal for typists that speak English or Spanish making opportunities for getting hired much higher. You only need to pass their test and get hired to transcribe before payment is made every week to your account. Casting Words offers a variety of ways to earn money through transcription with some of them being part time. The jobs can be from different countries and pay is varied per project. Transcriptions N’ Translations is based in Miami and works with renowned clients in the television industry. To apply, fill out the form displayed on their site and attach your resume to be considered for a job by the company. Crowd Surf offers transcription jobs that are short in length and can be done as a side job. They have partnered with Mechanical Turk through which the jobs are given and payment is made by them as well. Tiger Fish has a lot of projects for transcribers that can be done as per your schedule. The working hours are flexible allowing you to work on varied jobs covering a variety of topics. Daily Transcription offers transcription jobs to online users when they are available making it a good place to seek part time positions. When hired by the company you will be required to deliver your jobs on a daily basis to meet client demands. Scribie is the best place for first time transcribers that want to learn and earn money at the same time. You can choose a few audios to work on for a few hours and get paid through PayPal when your work is accepted by clients. Get Transcribed is a good place to start off in transcription and earn money on a part time basis. Payment is made per minute of subscription and can be accessed through PayPal n a monthly basis. RNK Transcription offers jobs to candidates with fast typing speeds and can accurately transcribe audio and video files. To apply send your resume by e-mail and pass tests offered and get hired after approval. GMR Transcription has consistent work for transcribers looking to make money when they have time to work. The company accepts inexperienced typists but you need to improve over time, if you are to earn well. Neal R. Gross is a great platform for those new to transcription jobs in the legal field. They require you to type fast and deliver files within 24 hours, which if done well will add up to at least five hours of work on a weekly basis. Rev. 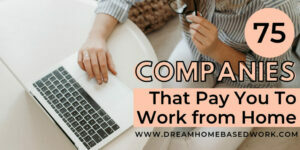 Com is a popular transcription company where you can work only a couple of hours a day and earn money. To apply, log in to their website and begin the process of becoming part of their team. Alchemic Dream – This company occasional hires Online Community Moderators. This is a 24/7 operation where you’ll help moderate forums and online communities. Ignite Social Media is a company that community moderators that work from home. They are based in the United States and recruit moderators from the company. ICUC Moderation hires moderators from all over the world to work from them on their site. Moderators participate in forums as well as experiments on social media as moderators on behalf of clients. E-Moderation often hires part-time moderators to take care brands that they represent on social media. They offer such positions to work at home freelancers and pay them for work done. Ask.com is always looking for skilled moderators to manage brand accounts for their clients on social media. To get a job with this company you need to be good at communication. Live World is ideal for those looking for entry level jobs in the online moderator space and need to improve their skills. They are always looking for moderators and accept applications all the time. Zynga offers contractual jobs for moderators who are conversant with online games through their site. The jobs are usually targeted at residents in the United States. Lithium hires professionals to work from home s moderators for their various clients. To work for them, you have to have experience and other relevant skills as displayed on their site. Yelp hires part-time community managers that are responsible for moderation on different sites from their location. Applications can be sent online whenever there is a vacancy in your home location. Mod Squad regularly offers jobs to online moderators but you have to agree to their agreement not to disclose any information about their work to third parties. The work offered can either be full time or part time. Crisp Thinking offers moderation to their clients 24/7 on social media so that they always maintain a professional image. Getting hired by the company requires you to have high interest in social media sites and reliable internet. Blog Mutt gives you an opportunity to write blog posts for a number of their clients, if your wok is high quality. You only need to write business oriented posts and if picked by a client they pay you for the article. About.Com is always looking for writers that can deliver high quality and credible website content. Submission of articles should be according to the guidelines highlighted on their website to increase chances of publication and payment later on. Fiverr offers a platform for freelance writers to offer their services to buyers seeking them online. Putting up a profile allows you to indicate your turnaround time, allowing you to work with flexibility and earn as much as you can on the site. WiseBread offers part-time writing opportunities for freelancers that are looking for flexible online jobs. 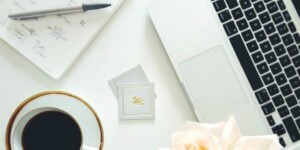 When working for the site, you have the freedom to write at your own time but on topics that touch on frugal living or even personal finance. Upwork is a freelance site that offers an opportunity to do different tasks and get paid well. Writing is a popular service offered on the site which makes it ideal for finding a part time position. Pure Content pays writers for submitting articles under the categories of editorial, feature and publisher content. There is no limit to the number of articles you can submit and no deadline making it the perfect part time job. Metro Parent offers you a chance to write parenting articles that will be published on their site. If parenting is a topic that interests you, then this is a good online magazine to pursue your passion and earn money at the same time. Hire Writers gives you an opportunity to submit original articles and rewrite others on different topics. Although the pay is not too high, it is a good place to start out building a writing career online and have it as a side job. Triple Curve is the best place to get seasonal writing jobs that you can do at your own time as long as the final work is good quality. You can write blog posts, product descriptions, copy writing and SEO among others. Examiner gives you a chance to write for them as an independent contributor on different topics of expertise. To earn good money you will need to submit articles that meet their guidelines so that they can be easily published on the site. LiveOps hires part-time independent contractors that are allowed to work according to their own schedule. You can do short tints during the day and work more during the night to earn well on the site. Alorica At Home gives you a job on their site as an employee and guarantees minimum wage to its workers. You are responsible for handling calls from various clients and the payment can be hourly based, per call or even minute depending on the project at hand. Next Rep requires their independent contractors to work for at least 15 hours every week but allow you to spread them out as desired. The flexibility of the working hours allows you to handle inbound calls and earn a commission without having to commit all your time to the company. NexusOP hires independent contractors to do sales work that mainly revolves around client retention. They have no fixed hours, making it possible for you to select the best time to work and get paid for hours put in. Transcom offers part-time opportunities in technical support, collection services and sales to clients through their home based agents. They have part time jobs available that are hourly based, meaning you can choose your own hours and get paid when work is done. Ginger i.o. hires part-time counselors to give a listening ear to callers that need someone to talk to because of the issues they are facing. The job is hourly and allows you to have a schedule indicating the hours you can work, making it an ideal part time job. iTalki is a good place to earn money if you are fluent in any other language besides English. You can become one of their teachers and teach native language to many students looking to learn new languages online. Gofluent.com offers you an opportunity their team that offers language training for business and other corporations. You can choose to be a part time trainer and earn money training people from different countries. Brainmass gives you a chance to help students with their academics at different levels in their journey. On this site, you get to assist high school, college or university students with expert advice at your own time and make money from it. Remilon is always open to applications from Tutors for their many teaching centers. You only need to send them an e-mail with a resume and other details they require to be hired. Tutor ABC makes it easy to be part of their teaching team by asking for minimum requirements at the time of application. They are always looking for English and Chinese tutors for their students. Pearson Scoring offers temporary tutoring positions all through the year which allows you to apply when available to offer required services. They offer good pay and other benefits for the tutors they hire to work from them. Learnlight offers you a chance to teach languages to students remotely as a trainer. You will need to be qualified to teach the language and have at least two years experience in a previous position to be hired. ETS offers quality education to students’ through the tutors they hire to reach various subjects. They are a reliable employer that pays their employees fairly. Tutor.com gives you an opportunity to teach your favorite subject to students and get paid for it. To get hired, send in an application on their site for it to be considered by the owners of the company. Study.com pays you to write lessons for students from all over the world on a flexible schedule. Payment for work done is bi-monthly. Just Answer hires experts to answer questions posted on their site under different categories. It is a revenue sharing site where you get paid a percentage of the amount paid by clients. Maven offers you a consultant position on their team allowing you to answer questions on a variety of interesting topics. You get to share your revenue with the site but the exact percentage depends on the expert level. Usertesting pay between$10 – $20 ten for very website test you complete for their site. The tests are mostly done on computers but they also run tests on mobile phones which fetch a higher pay. Erli Bird is a good place to earn money testing gadgets, new apps and websites. The feedback provided after the testing is done can earn you payment of a maximum of $10. Payments can either be in cash or donations depending on the option available. WhatUserDo is another reputable company that pay $8 and up for every website test. Payments are sent out monthly via Paypal. Appen offers evaluation jobs for those active on social media as well as other search engine sites. The projects you will be involved in the site are usually flexible in terms of working hours and exciting at the same time. iSoftStone is always on the lookout for Evaluators in different countries to fit its international brand. The company allows you to get hired in different countries and do part time work in different languages as well. Lionbridge involves the assessing of web content and giving relevant feedback to the company for the benefit of clients. You can work from different locations such s Germany, China and Japan and earn good money for work done. Workforce Logiq hires online workers to offer solutions in the management of a company’s workforce trough various types of evaluation. The work can be done part time because it’s highly dependent on the projects available. Great American Opportunities is ideal for those looking for part-time seasonal jobs in data entry as they offer them on a regular basis. To get hired, look out for their advertised jobs on various job boards and send in your application. Email your inquiry to [email protected] for consideration. SigTrack also offers part-time jobs seasonally in data entry which usually during times of voter registration the United States. They are strict in their work and penalize contractors that deliver incorrect figures. One Space offers different jobs to freelancers including data entry which can be accessed through their site. To get a data entry job, you will need to sign up on their site and accept their terms and conditions before being hired. Clickworker has micro jobs such as data entry for freelancers seeking to make money online. Picking up jobs on the site is easy and you get paid weekly per piece of work done. Vitac offer part-time jobs on project basis which means that their data entry work offers may not be very consistent. If you are looking to pick up data entry jobs to make money for a short time then it is an ideal company for such opportunities. Fiverr is a hub for different short term jobs in data entry that attract different pay from $5 and above. To get the jobs you need to set up an account on the site and wait for sellers to buy your services. The Smart Crowd offers part-time data entry positions from different companies to interested freelancers that are willing to work for them. Their pay is reasonable and you only need to sign up on their site to get hired and start working. Scribie is often associated with transcription but some jobs require data entry to be done as part of the information in the audio file. The jobs are rare but worth trying out if you come across them on the site. Transcribe Me is another good place to get part-time data entry work on a part time basis to supplement your income. You can do the tasks from different industries and departments that are common in regular offices. Mechanical Turk offers a variety of data entry tasks both that are usually short term with low pay. The tasks can be completed quickly if you have fast typing speed allowing you to earn more money. Pinecone Research offers survey programs to their members that are paid for upon successful completion. Joining the company requires effort but when accepted you will give your opinions on major brands and earn at least $3 for every survey. Opinion Outpost gives you a chance to participate in their various surveys and rewards you upon submission. The remuneration earned from the company can either be cash or rewards. Survey Savvy offers surveys and pays for each one that is completed and the amount deposited into your account. You can fill in the surveys on the go and earn as much as possible over a given time period. Ipsos I-Say gives its members points every time they complete a survey which they can redeem when they accumulate to an amount set by the site. They offer at least four surveys monthly with most of them earning members from five to twenty points each. Your Say offers cash incentives for every opinion you give on their site which can be from $1 to $100. E-mail notifications are sent to you whenever a survey that matches your interests is put up on the site. Global Test Market hires people to provide feedback on surveys on their site and rewards them for their effort. You can earn a variety of rewards from the site that can be redeemed for cash and other gift items. Harris Poll Online offers part time jobs that involve filling in surveys that helps companies get feedback about their products or services. For your opinion you are rewarded with points that can be redeemed for cash or kind. Brand Institute allows you to become a member of their panel by registering on their site. You only need to sign up and get e-mail notifications whenever a survey that matches your interest is uploaded to their site. You may also want to consider signing up with FlexJobs (a site I’ve use personally and trust) if you are looking for part-time flexible work at home job leads that are legitimate.